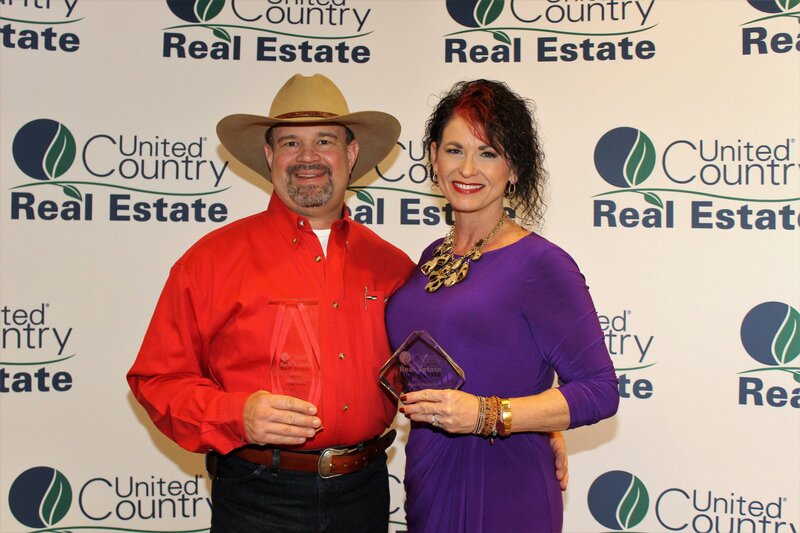 April 11, 2019 – United Country Real Estate, headquartered in Kansas City, MO, recently announced that Christy Wilson with United Country Southern OK Realty ranked in the top real estate sales professionals in the nation out of the company’s 4,000 UCRE agents for sales in 2018. Kelly and Christy Wilson and the team at United Country Southern Oklahoma Realty can be reached by calling 580-223-3699 or online at www.southernokrealty.com. United Country Real Estate–is the leading, fully integrated network of conventional and auction real estate professionals. The company has been an innovator in lifestyle and country real estate marketing since 1925. United Country supports a combined network of over 500 offices and 6,000 real estate professionals, with a unique, comprehensive marketing program that includes the highest ranked and largest portfolios of specialty property marketing websites, the largest real estate marketing services company, an extensive buyer database of more than 750,000 opt-in buyers an exclusive statewide, regional and nationwide advertising of local area properties.